This summer I was finally able to grow tomatoes. I had lots of them and there are still more to come! I feel as if I finally did it right because I have failed every year up to now. It makes me confident about next year, and not just about tomatoes. I might try to grow peppers and string beans and all sorts of things. Maybe even zucchini. Now's the time of year that several people I know are harvesting their zucchinis, and some are gigantic! I'd like to see those in my garden. For now I have to rely on my neighbors' and friends' generosity! Here's what I did with zucchini this week. 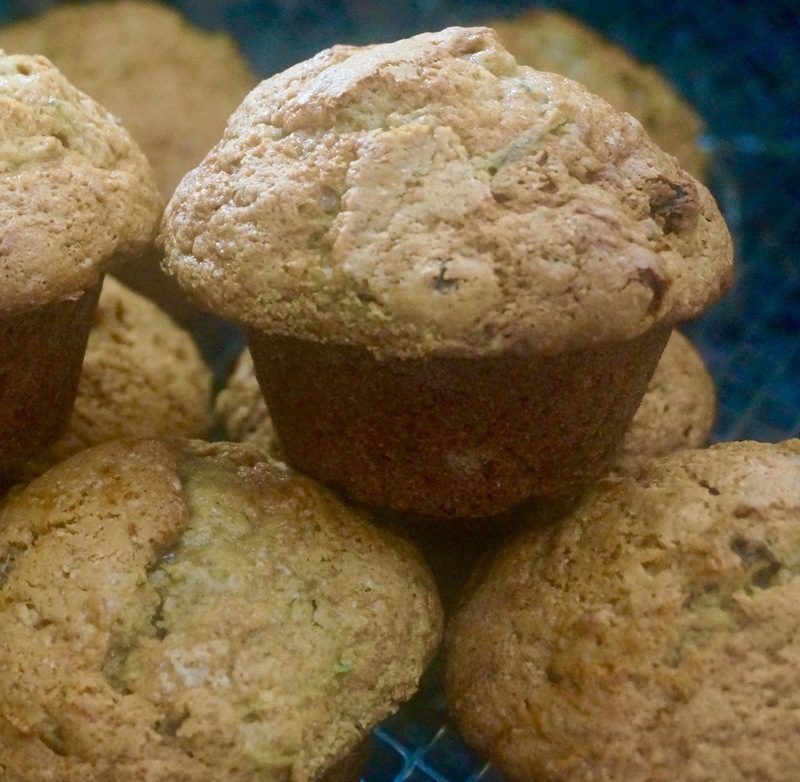 These muffins are not too sweet so you can have them for breakfast as well as snack. Preheat the oven to 375 degrees. Lightly grease 12 muffin tins. In a large bowl whisk the flour, cinnamon, nutmeg, baking soda and salt until thoroughly combined. In a separate bowl combine the vegetable oil, sugar, brown sugar, eggs, and vanilla extract and whisk until well blended. Add the liquid ingredients to the flour mixture and stir just until blended. Fold in the zucchini and optional raisins. Spoon the batter into the tins. Bake for about 20-25 minutes or until golden brown and a cake tester inserted into the center comes out clean. Cool in the pan on a wire rack for 5 minutes. Invert the muffins onto the rack to cool completely.